The Rancho App features video and audio content from Sunday and easy ways to connect and grow in faith. Let us know you are here for the first time, read weekly updates, join a small group, give online and get important push notifications. In 1968, seven families started Rancho Community Church as one of the very first churches in Temecula. Now with campuses in both Temecula and Murrieta, a place for those far from Christ and those who have journeyed with Him for a lifetime. A place that brings the light and life of Christ to the community both spiritually and tangibly. We are thousands of friends advancing the cause of Christ. * Cloud Based Journal: Your Pursue Journal is accessible online anytime at www.PursueJournal.com. 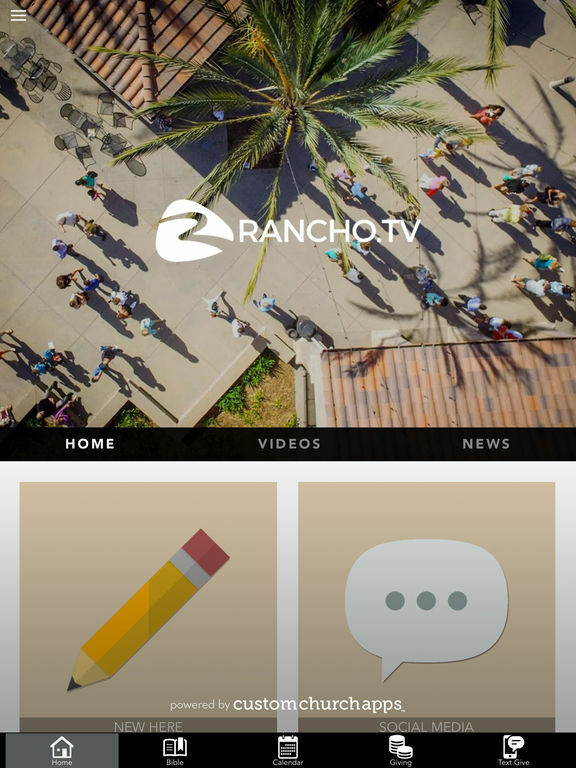 This allows you to be able to add entries anywhere, anytime and they are automatically linked to your Rancho app.